- Tangled Threads -: All mixed up! These bank holiday weekends really do mess with your head! 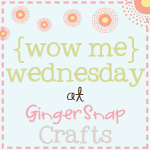 Monday seemed like Sunday and today feels like it's Monday.....hence I'm late with my weekly post! Max had some more stitches added.....not an awful lot, but better than none at all being added! I really want to get him finished as I can feel myself becoming a bit bored with him. I don't want to put him to one side as I know I probably won't pick him up again if I do! Anyone else end up feeling like that about a project? As for the baby blanket saga,(Click here if you didn't see what happened!) I heard back from Lion Brand yarns asking for a picture of the colour change in the yarn and they said they would be looking into the differences in the dye lots. I was pleased that they had responded, but still not sure about what to do with the yarn that I already have and how to salvage what I had already started. Thank you to everyone who gave some suggestions....time to put my thinking cap on! ...and this time I have LOADS of yarn! Lesson learned :) The pattern for this blanket can be found here. I changed the colours to make sure I didn't have the same problems as last week :) I have so much white yarn that I could probably make two baby blankets....and some booties....and a hat or two! Hopefully this week I will be able to find time to work a bit more on both of these projects. Sorry you didn't get a good response from Lion but your new blanket is gorgeous! What lovely colours in the border. I know exactly what you mean about Max but have no suggestions for you! I would probably put him away and crochet for a while until I wanted to stitch him again. Your blanket is looking pretty!! My Dimensions kitty litter project hasn't come out since last 1 year. I stitched three cats after that I got bored with all grey, brown and black shades. I know how the list of tasks gets longer with long weekends. Sometimes, I feel it is wastage of weekend. Earlier I used to finish off things on weekdays but since I get tired soon nowadays so I wait until my husband is free to do it together. My to-do list only ever seems to get longer, not shorter! As to the getting bored with a project, all the time. I always hate it when I start to fell it as once I put it down it does take ages for me to pick it up again, hence why it took 10 years to finish The Dreamer. Love your stitching and the new baby blanket is so cute. Looking forward to seeing more posts on it. 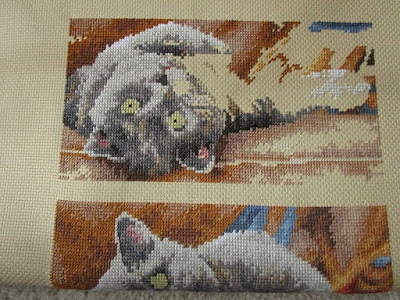 In August I couldn't sit still and focus on one cross stitch project!! 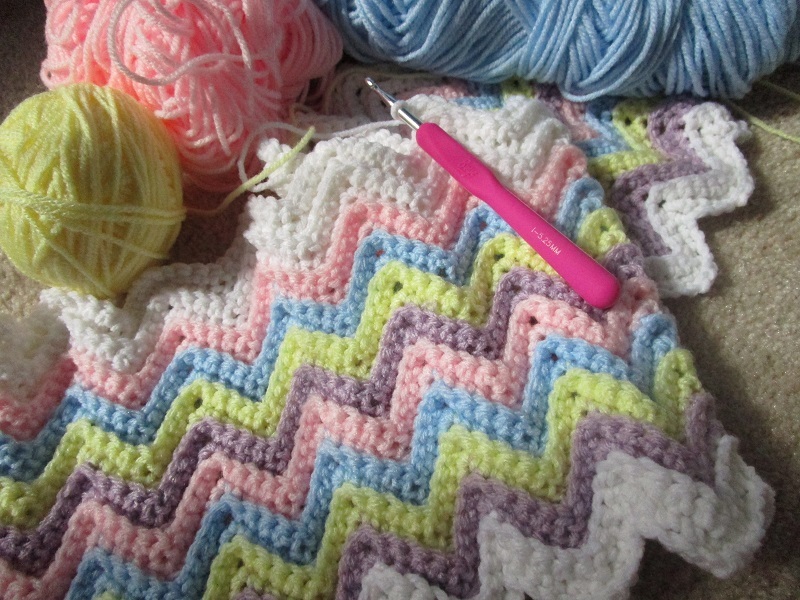 Very pretty new blanket start. The colours are adorable! Wonderful progress. The blanket looks yummy! Such a lovely new blanket that you started. I love the colours you use, it looks so bright. Great progress on Max. Whenever I feel overwhelmed by all the stitching on a certain project I just switch to another WIP. That always works for me. Now you've confused me, because our Bank Holiday was the week before! Nice work on Max, he's growing steadily. Great start I hope they contact you soon with a solution! Yes I'm feeling the same way with the Family Crest. I want it done but it's just not fun to work on right now. Hate that feeling. Great progress on Max though. The blanket is beautiful.